LakewoodAlive proudly announces Melt Bar and Grilled as Title Sponsor for Lakewood Summer Meltdown 2018. 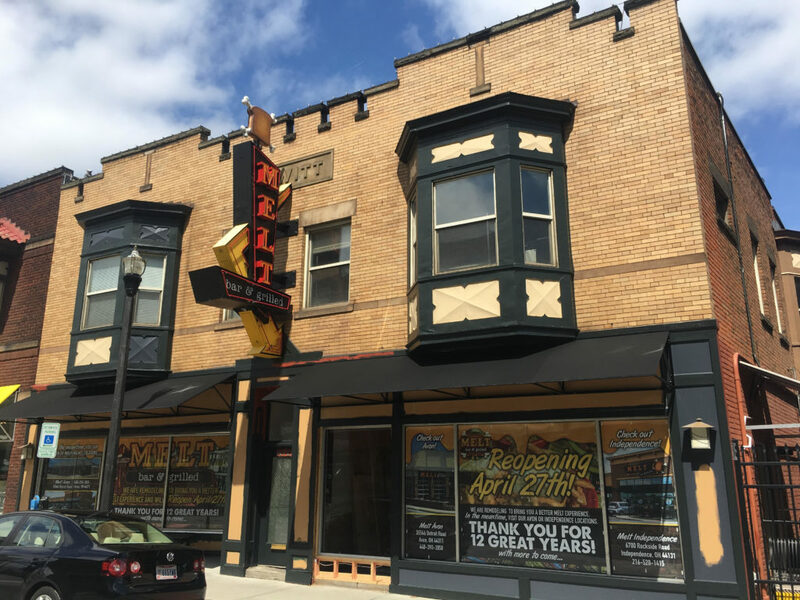 This popular, free-to-attend community event will heat up Downtown Lakewood on Saturday, July 14, from 4 to 10 p.m., with its epicenter located right outside the doors of the original Melt location at 14718 Detroit Avenue. Melt Bar and Grilled will unveil its remodeled space at its original Downtown Lakewood location on April 27. The Melt story has its roots in Lakewood, where owner Matt Fish introduced his unique comfort food concept in September 2006. What started as Lakewood’s best-kept secret soon evolved into the biggest culinary buzz in greater Cleveland and beyond. Today Melt operates 10 locations throughout Ohio and has been featured by numerous national entertainment and media outlets, including Food Network, USA Today, Esquire Magazine and The National Culinary Review. In the case of Melt and the Lakewood Summer Meltdown, the number “nine” has several applications. This year marks the 9th annual Summer Meltdown and Melt has served as Title Sponsor all nine years since the event’s inception. Furthermore, Melt is currently completing a major renovation project to reimagine its Lakewood location and will reopen its doors to customer in nine days on April 27, with a Grand Re-Opening celebration. The Lakewood Summer Meltdown represents one of the region’s most highly-anticipated street parties. A summertime celebration of our city’s vibrancy, this free community event draws 10,000 attendees from across Northeast Ohio to the heart of Lakewood each July. This fixture on our city’s summer calendar takes place on Detroit Avenue in Downtown Lakewood between Marlowe and Mars. The Summer Meltdown is a “something for everyone” event, offering seemingly endless recreation and celebration opportunities, including the Meltdown 5K race, 1 Mile Kids Fun Run, street festival, outdoor activities, games, food vendors, beer garden, live music and more.